From highly-visible signs and convenient neighborhood locations, payday loans beckon borrowers with promises of quick cash and no credit checks. Far less noticeable are the loan terms that include high-cost fees and triple-digit interest rates. Instead of a small amount owed for a couple of weeks, borrowers become trapped in thousands of dollars of debt from fees and interest that can last a year or even longer. Most payday borrowers have nine repeat loans per year and 400% interest. 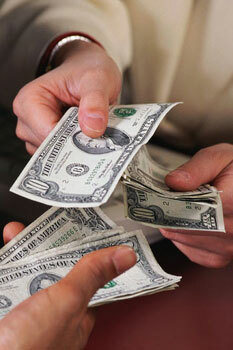 Before making a loan, legitimate lenders assess the ability of potential borrowers to repay it. Payday lenders do not. In fact, their business is built on making loans borrowers cannot afford to pay off, so that they will keep coming back and paying repeated fees on the same small amount of money borrowed. CRL's 2009 study of the payday lending industry shows that three quarters of payday lending volume is generated by churned loans. The very short-term due date frequently forces borrowers to take out their next loan before payday. To obtain a loan, a borrower gives a payday lender a postdated personal check or an authorization for automatic withdrawal from the borrower's bank account. In return, he receives cash, minus the lender's fees. For example, with a $350 payday loan, a borrower pays an average fee of about $60 in fees and so they get about $290 in cash. The lender holds the check or electronic debit authorization for a week or two (usually until the borrower's next payday). At that time the loan is due in full, but most borrowers cannot afford to pay the loan back, and still make it to the next payday. But if the check is not covered, the borrower accumulates bounced check fees from the bank and the lender, who can pass the check through the borrower's account repeatedly. Payday lenders have used aggressive collection practices, sometimes threatening criminal charges, for writing a bad check even when state law prohibits making such a threat. Under these pressures, most payday borrowers get caught in the debt trap. To avoid default, they pay another $60 to keep the same loan outstanding, or they pay the full $350 back, but immediately take out another payday loan, with another $60 fee. In either case, the borrower is paying $60 every two weeks to float a $290 advance — while never paying down the original amount of the principal. The borrower is stuck in a debt trap — paying new fees every two weeks just to keep an existing loan (or multiple loans) outstanding. or make a donation to help your community, then contact us today in Salt Lake City, Utah.